Download this golden ring graphic for your vector collection. 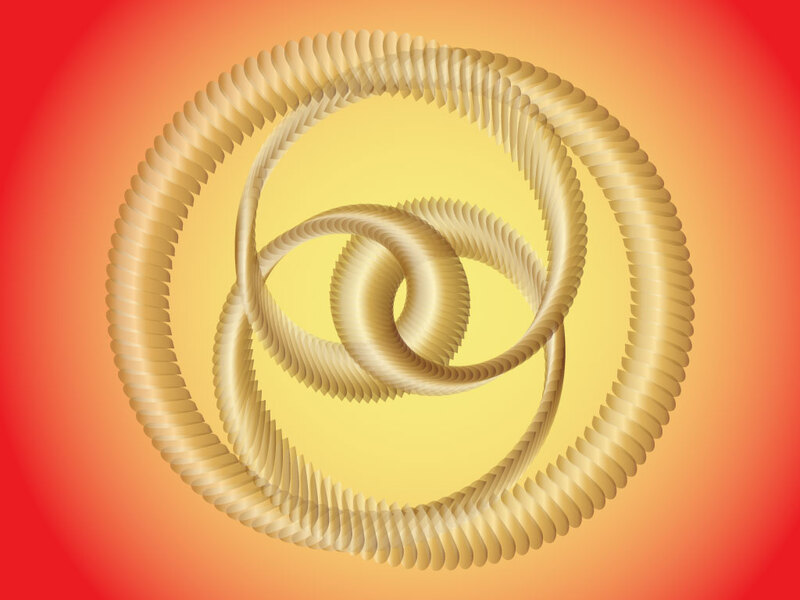 Digital 3D style graphic circles that spiral and interlock in an interesting pattern. A beautiful gold color scheme could make this a nice choice for your designs that require an element of luxury. Zip file contains AI, PDF and JPEG formats. Tags: 3D, Abstract, Circle, Digital, Gold, Ring, Twist, Wire Frame.